I dream about it most nights and daydream about it most days! Sadly on the GAPS/SCD diet it is not allowed…something that makes the diet harder than anything else. Even harder than having to eat chicken and chicken stock for breakfast (yes, I kid you not, for three days this week that is what I had to do). What has my life come to??!! 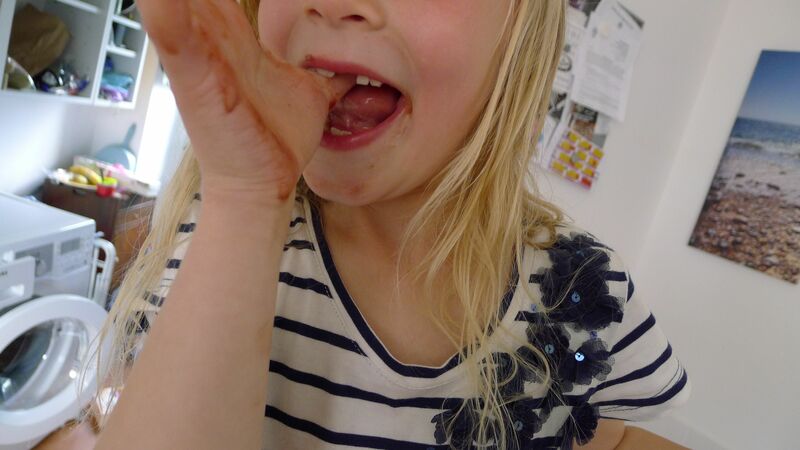 Anyway, I’m not going to bore you with my diet tales today, instead I thought I would amuse you with some messy chocolate shots and a tale of afterschool chocolate making! 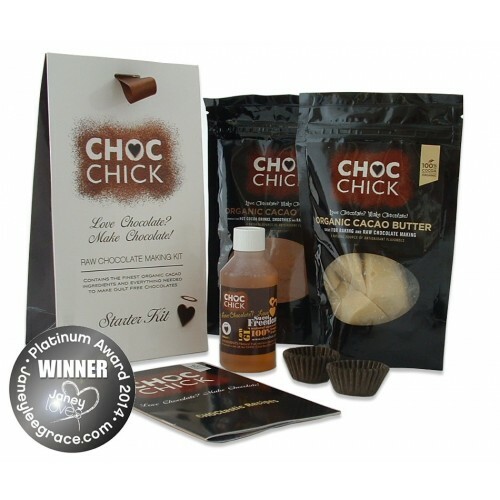 A few weeks ago I was lucky enough to meet the wonderful lady behind raw chocolate making kits, Choc Chick. Galia is one inspiring lady. 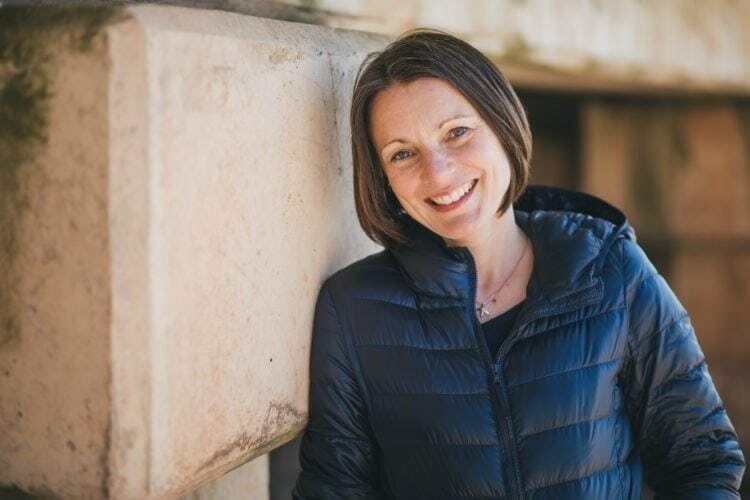 Not only are her chocolate making kids gluten and dairy-free but all the ingredients are ethically sourced, organic and raw (ie. not heated to destroy essential nutrients as per the cocoa you buy in the supermarket). The result? The highest quality homemade chocolates you are likely to ever make! 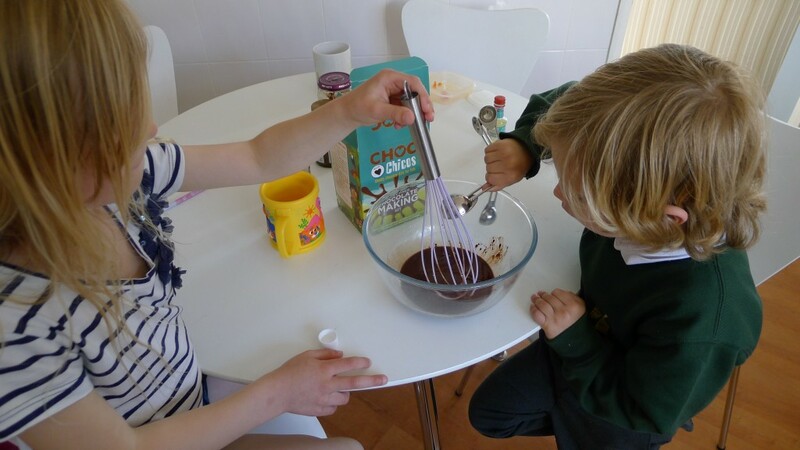 On Wednesday I set the kids a challenge to make chocolates with their kids chocolate making kit. 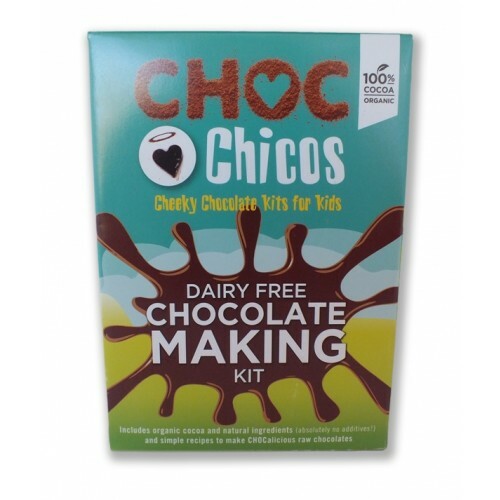 There is nothing different about the kids kit from the standard starter kit, apart from the delightful packaging (that Galia’s child designed), wonderfully informative information leaflet all about chocolate and where it comes from, and the cacao beans that were excitedly taken to school. It still has the fabulous ingredients along with simple instructions on how to make them. Roo and Pickle set to work while I made buns to go with their burgers for tea! It was simple enough for a 5 and 7 year old to make and they were very pleased with the result. 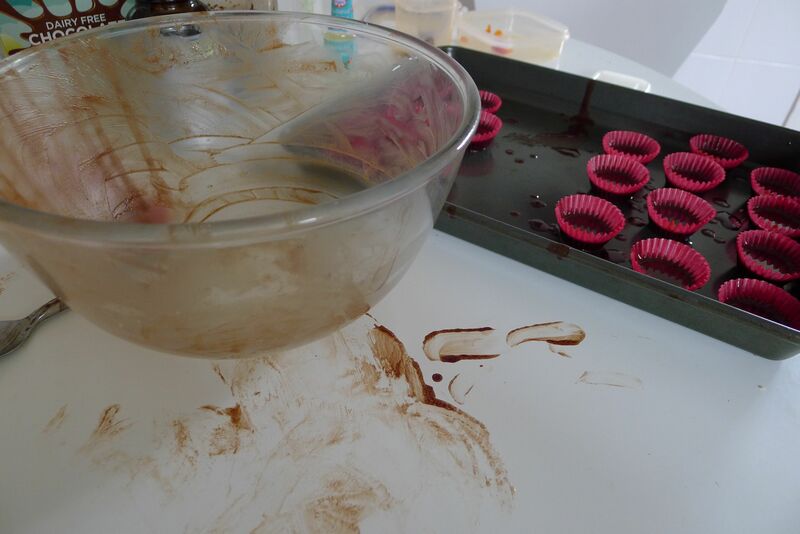 As you can see, they rather enjoyed the process of licking the bowl out too! 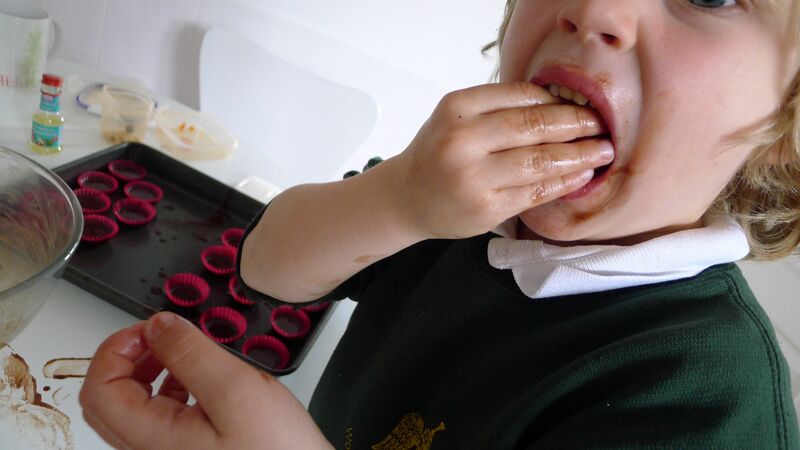 Roo added raisins to her chocolates while Pickle opted for peppermint essence. Me? Well, I stayed well out of the way so as not to be tempted! If you are wanting to bag one of these kits for yourself then head over to Galia’s lovely website where you can buy one directly. Alternatively check out her stockists page, or head to Holland & Barrett where I also happen to know they are stocked! 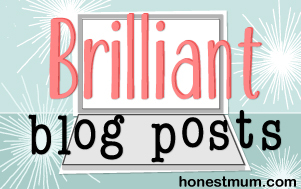 If none of that takes your fancy then perhaps I can tempt you into entering my competition to win a Starter Kit? As always, please only enter if you are over 18, a human and live in the UK! Entries will be accepted until midnight on 6th June 2015. Good luck! For the purposes of this review and competition I was provided with a kids starter pack and a standard starter pack which I am giving away in this competition. This did not affect my opinion in any way. I’d love to win because it is dairy free chocolate and it looks simple delicious. Oh no! That sounds like Roo. Same thing happened to her but luckily she isn’t a big dairy fan anyway because she didn’t have it when very small! I would give it to my niece who is vegan. She loves baking so this would be perfect for her. I want to win because it is so hard to find quality free rom chocolate.